That is what we do at Vaxxe. It’s the foundation of any successful business. Our business is the business of our clients and we perform. It’s not enough to do good work. It’s hardly surprising that there is an IT shops on every other corner. Our clients trust us because we are here today and tomorrow. When they succeed, we succeed. Our years of experience provide our clients with the comfort their project is in the right hands. We’ve grown one client at a time. Each client is a part of us. We know Information Technology. I.T. Life-cycle management is a key element in supporting our clients. We use specialized, cost effective I.T. Services for our clients. We provide project management resources to oversee client projects. We advise, supply, setup, monitor and support; servers, virtualization, networks, security, email, backup services, remote access and other services. We specialize in Microsoft and RedHat software products. We partner with Dell and HP for hardware solutions. We know IT security. Understanding, identifying and classifying risks and protecting data gets business done. A client’s data is their businesses life blood. Our experts work with our clients conducting policy reviews, consultative and technical data assessments. Our approach is discovery, identification and classification. Our solution is protecting. We know Virtualization. Our engineering team members are experts in virtualization strategies such as VMware, Hyper V and RHEV (RedHat). We design, implement, and manage virtualization solutions for our clients. Not every application requires its own hardware. We assess the current infrastructure, resources and architect the right solution. We know Cloud. Whether you need IT server resources, network storage or software applications, Vaxxe provides our clients with expertise in cloud computing to extend on-premise computing services. 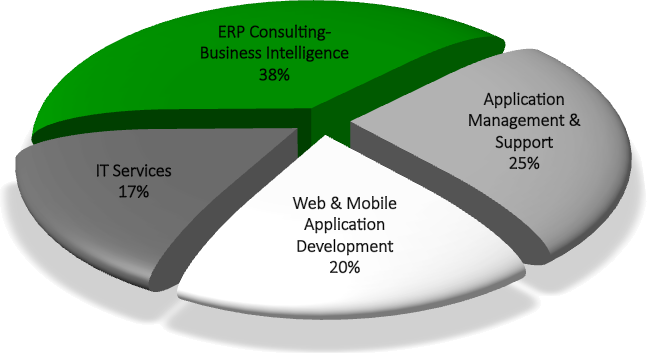 We help our clients architect total solutions for cloud resource utilization. We know Software Development. We have clients with development needs. Our project management staff provides both traditional and agile methods addressing the software development life-cycle. Our development engineers have taken on entire projects and augmented existing client staff.